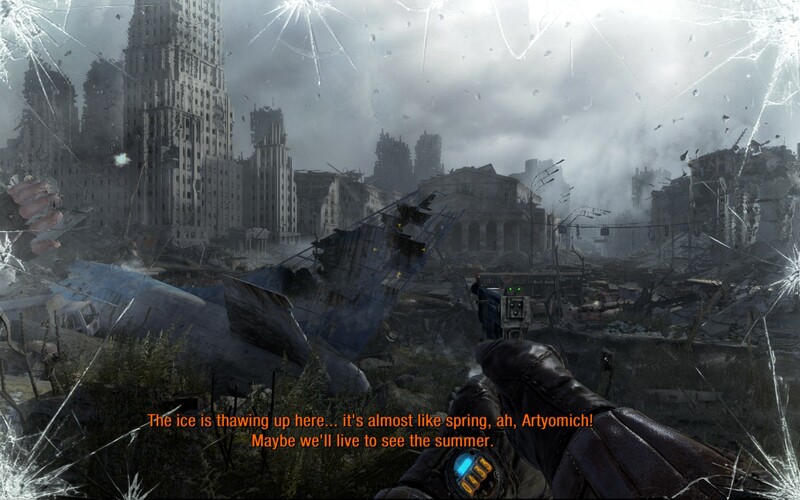 Crysis 3: All That Remains is Prophet. 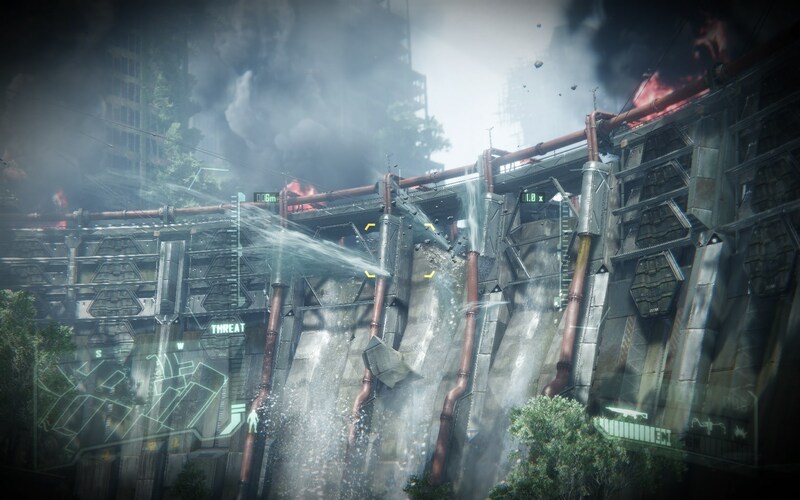 As long time readers will know I’m a big fan of Crytek’s flagship series Crysis as it’s one of the few no-holds-barred PC games when it comes to ratcheting up the graphics to insane levels. It harks back to the golden era of PC gaming where every new title attempted to do exactly that, pushing the boundaries of the hardware so hard that yearly upgrade cycles were not only desirable, they were almost required. The consolization of PC games took a heavy bat to this idea and strangely enough even Crysis 2 fell prey to it somewhat with my rather mediocre PC at the time being able to run it perfectly (and admittedly it was still quite good for its time). 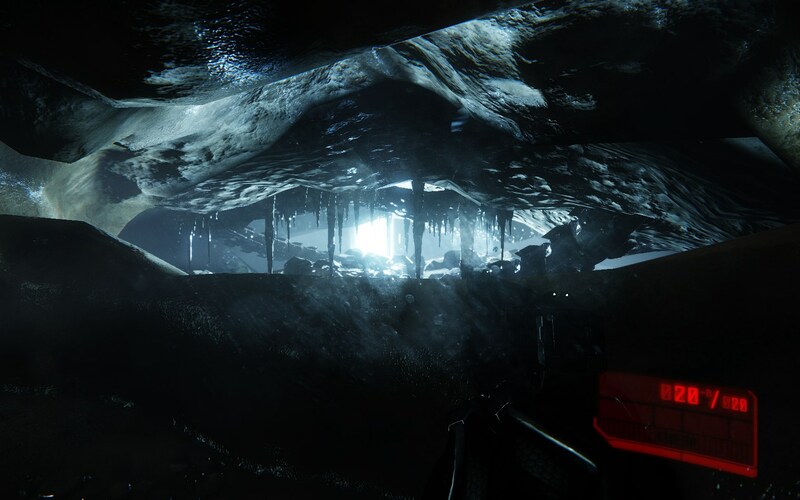 When Crytek announced that Crysis 3 would be a returning to its roots with insane levels of graphics I was incredibly excited and I’m glad to say that they didn’t disappoint. 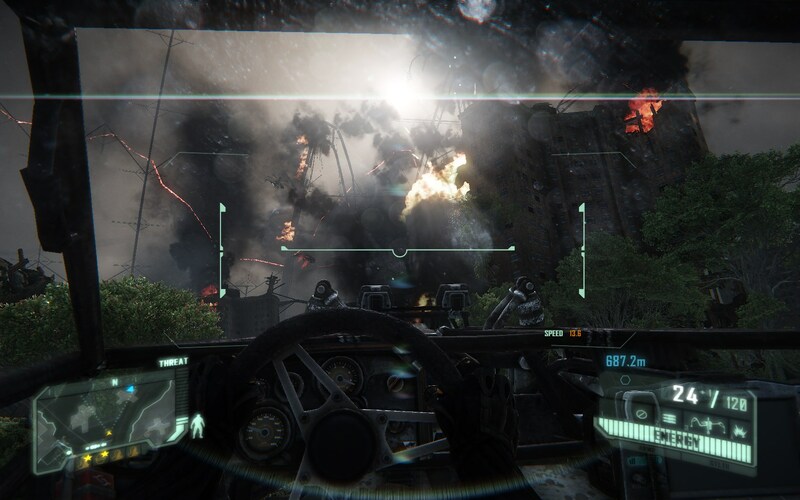 Crysis 3 takes place 24 years after the incidents in Crysis 2. Prophet, in reality the amalgam of Alcatraz and the remaining memories of the original Prophet that the NanoSuit stored, has been in stasis for the past 2 decades since CELL captured captured him. You’re broken out of your prison by Psycho, one of your former suit buddies who’s been stripped of his NanoSuit. You find out that CELL has been using some Ceph technology to generate unlimited amounts of energy and has used that to enslave most of the world in crippling amounts of debt. Psycho, saved by people in the resistance, needs your help in order to take them down. As you start to dig into CELL’s activities however the real plan becomes apparent and it becomes clear that only you are able to stop them. The technology under the hood of Crysis 3 is the same as Crysis 2 so you can imagine I was a little sceptical as to how much of an improvement they could make in the 2 years since their last release. Figuring that my still semi-new upgrade would be up to the task I cranked everything up to its highest, leaving only the anti-aliasing at a tame 2x. What resulted afterwards can only be described as slide show, a very pretty one but it ran so slow that many of the models glitched out and it was essentially unplayable. Dialling back the settings to their recommended levels turned that slideshow into a much more playable game and what a game it is. Every screenshot you’ll see in this review was taken in game with most of the settings at 1~2 notches below the maximum possible. The level of detail is simply amazing with all models being of the level I’ve come to expect from most game’s cutscenes rather than their in game representations. Crysis 3 makes use of the entire DirectX 11 feature set and does regular things like motion blur, specular highlights and bump mapping better than any other game I’ve played recently. Whilst the framerate wasn’t the greatest in large outdoor areas it was absolutely butter in small to medium sized zones and it was so good that I almost feel like upgrading my PC again just to how Crysis 3 would fair if had room to stretch its legs. 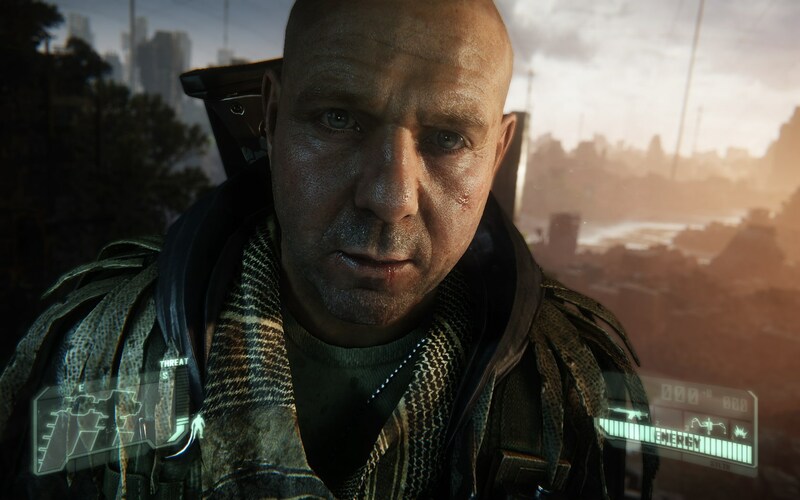 Suffice to say that Crytek has really returned to form with Crysis 3’s graphics. For those who’ve played Crysis 2 the game play will be very familiar to you with the NanoSuit design staying basically the same as it did in the previous game. 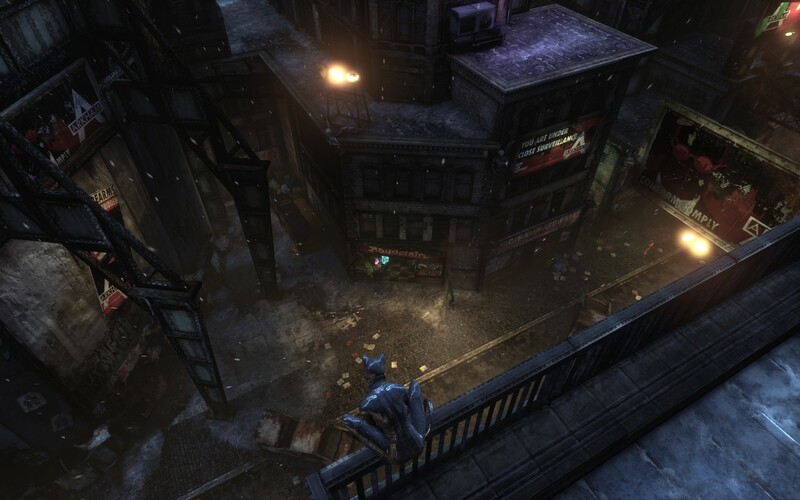 You have 3 modes available to you: regular, armoured and cloaked which you can switch between at will. Armoured mode drains energy when you get hit by various things and cloaked mode slowly drains away energy whilst your standing still and even more when you move around. 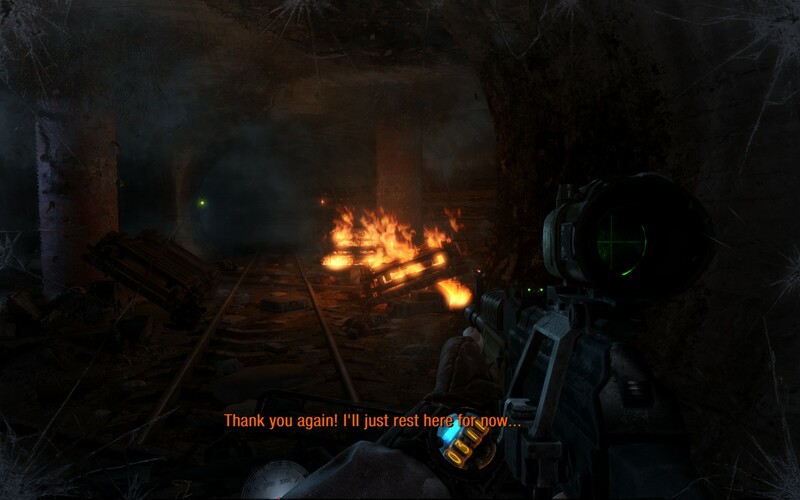 These two active modes are essentially the two ways of completing any obstacle that you might face in Crysis 3: either by stealth or by raw fire power. Whilst there might be a choice available to you it does seem like Crysis 3 would prefer you to go with one over the other. Right at the beginning you’re given what amounts to the biggest change between Crysis 2 and 3’s combat: the compound bow. Essentially it functions like a backup weapon as it doesn’t count towards one of your 2 regular weapons but like them its customizable with different ammo types and scopes. The key difference between the bow and other weapons however is the fact that upon using it you will still stay cloaked, allowing you to take out enemies with ease and drastically increasing the amount of time you can remained cloaked. Couple this with the fact that the primary type of arrows you can use (impact) can be picked up after you use them you essentially a weapon that’s got unlimited ammunition, kills in one hit and allows you to stealth around everywhere without getting caught. Running and gunning seems rather moronic by comparison. This is only amplified by the upgrade system which allows you to beef up aspects of the NanoSuit to fit your play style. Whilst its entirely possible to make yourself nigh on indestructible the upgrades for stealth users simply magnifying the already over powered combo of cloak plus bow. Indeed for quite a while I was running around with just the stealth upgrades and multitudes of points available to me. I ended up spending them just before a particular boss fight that required me to go toe to toe with it but I actually found that using stealth was a viable option once I had worked out the fight a little more. This may be due to the difficulty level I was playing on however and I’m sure at easier levels run and gunning would be more viable. 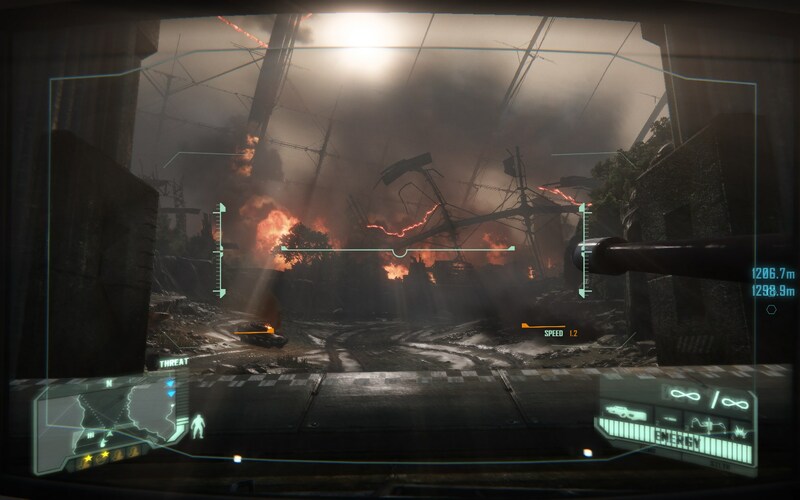 Crysis 3, whilst still technically being an on-rails shooter, does retain the non-linear variations for each section that help to keep it from being yet another corridor shooter. When you’re moving between sections there’s definitely only one path that you can progress through however in those sections there’s usually additional objectives that you can go for which will assist you in getting to the primary objective. 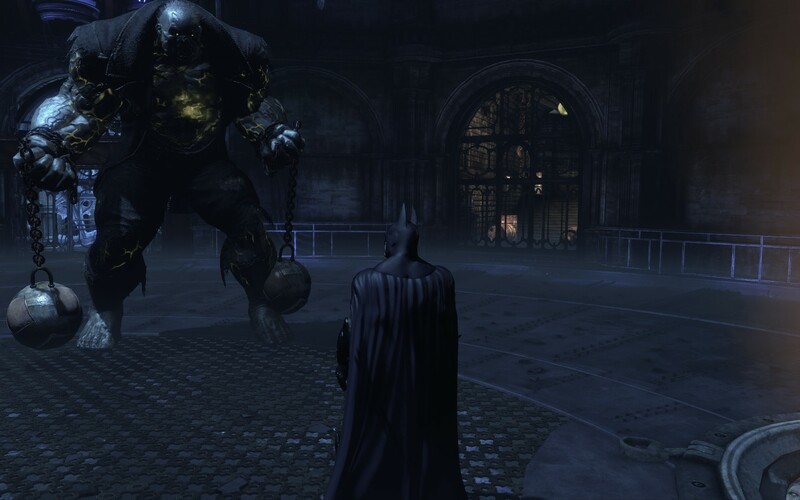 For instance there’s one section where two giant walkers are blocking your path. Now on the ground nearby there’s a ton of RPGs scattered about so with a little bit of legwork you could probably take them down. However there’s also a nearby mortar team that’s in need of assistance and should you help them out they’ll let you tag targets which they can then take out for you. The vehicle sections feel tacked on, almost as if they’re only there to serve as an introduction into what will be available in multi-player. Whilst I applaud their use of larger-than-life maps they only seem to be there to facilitate the inclusion of the speedy Half Life 2-esque dune buggy. I will admit that the optional tank section was pretty fun but it was cut brutally short, right before a time where it would have been a hell of a lot of fun to blast a whole bunch of Ceph out of the skies. This was followed shortly after by an on-rails vehicle section putting you as the gunner which was frankly suicidal as all the Ceph aircraft targeted you instantly and your mounted gun was highly ineffective against them. I’d prefer that these sections stayed in and were revamped rather than them being removed however but they really do feel out of place with the rest of Crysis 3. There’s also few bugs and glitches to speak of although it pains me to say that at least one of the issues that plagued Crysis 2 are still present in 3. Some guns, for example, will simply not be able to be picked up which can be pretty devastating should you not be able to swap a weapon out for a particular section. The graphics glitches appear to only happen if you’re stressing your hardware too much and disappear the second you revert them to more sane settings. The vehicles are mostly fine except for one part when my tank slowly started turning itself over and then eventually capsized for no apparent reason. Getting out of the vehicle seemed to let it right itself however but the behaviour was still very odd. I was all ready to pan the story as for the first couple hours there’s really no tension, character development or anything that made me feel for the characters. This all changes later on as the voice acting seems to improve a lot, especially towards the end when certain reveals ramp up the tension between the characters. 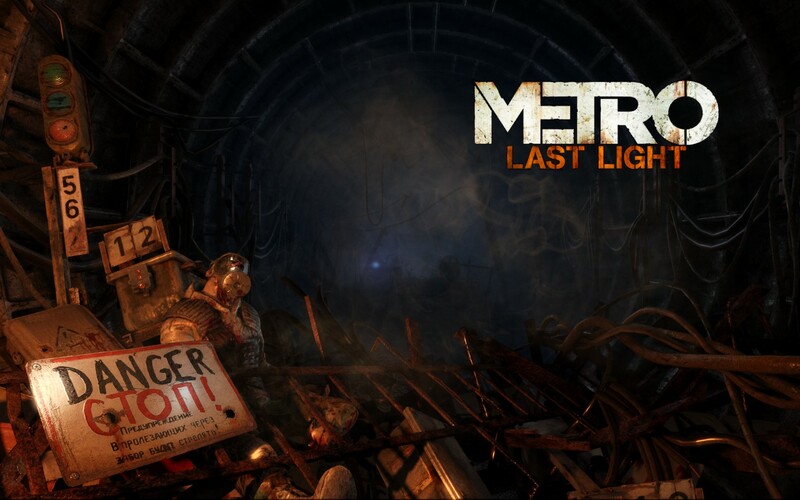 It’s not an emotional roller coaster like other, more story focused games but it was unexpectedly good for an on rails shooter. They also thankfully avoided the extremely obvious “INCOMING SEQUEL” stuff which plagued Crysis 2, but the current story wraps up well with enough leeway that a sequel is possible without it being obnoxious. Crysis 3 is simply stunning; a visual masterpiece coupled with highly refined game play that we’ve come to expect from the people at Crytek. 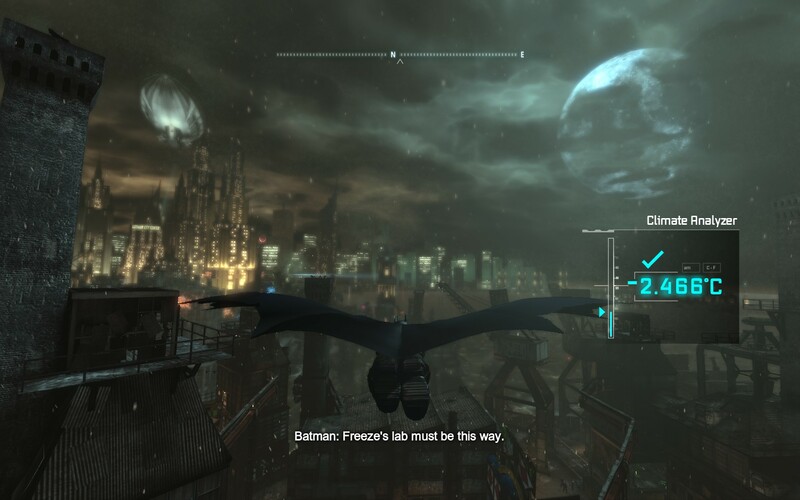 There’s no doubt that the graphics are what makes this game so impressive as Crysis 3 is probably the only game that demonstrates the full capability of DirectX 11 on the PC platform today. It’d all be for naught however if the rest of the game didn’t stand on its own however and I’m glad that it does otherwise it’d just be another tech demo ala ID’s Rage. I thoroughly enjoyed my time with Crysis 3 and I’d encourage anyone who’s still a dedicated PC gamer to spend some time with it, if only to see how capable your rig really is. 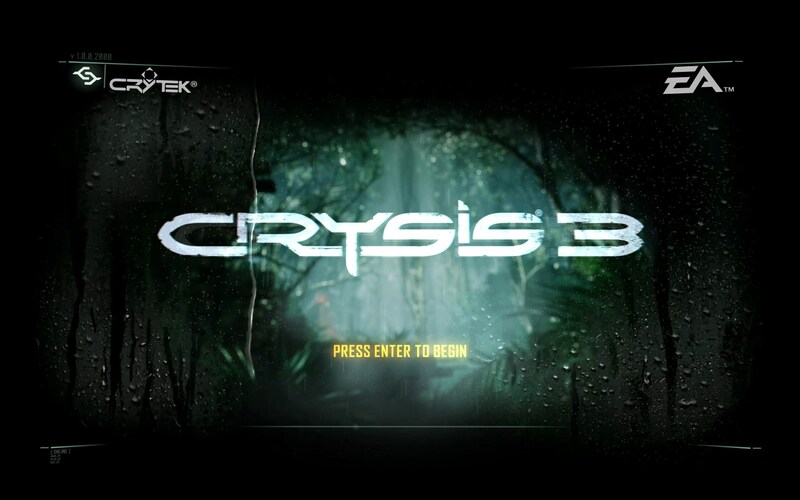 Crysis 3 is available on PC, Xbox360 and PlayStation 3 right now for $69.99, $98 and $98 respectively. Game was played entirely on the PC on the second hardest difficultly with a total of 7 hours played. Disney Acquiring LucasFilm Is A Good Thing, So Stop Your Bitching. I am, like many of my ilk, a long time fan of Star Wars. I have many fond memories of watching it with my family as a kid, not completely understanding all the themes but just revelling in the story. When I heard that George Lucas was going to be making another three I was incredibly excited as I just couldn’t get enough of the Star Wars universe. It’s at this point that my course deviates somewhat from the norm as whilst I don’t believe the prequels were better than the originals I failed to see them being as bad as everyone made them out to be. There were some pretty glaring flaws to be sure but I never really found myself being bored by them which is my yardstick for differentiating good movies from bad. However I do share the concerns of many with the fact that George Lucas just can’t seem to leave well enough alone as with every new release of Star Wars he seems to make tweaks to them that change the story fundamentally. I probably don’t have to tell you that Han shot first (and if you’re going to disagree with me than we’ll have some words, harsh words) but that’s only the most well known of Lucas’ transgressions against his most devoted community. A quick Google search will bring you this incredibly detailed breakdown of all the changes in the re-released versions, some small some that change the characters and plot in fundamental ways. Needless to say us long time fans have a love/hate relationship with him and this is probably why recent news has caused such a stir. Yesterday Disney announced that they have signed an agreement to acquire all of LucasFilm, including the intellectual property rights to the Star Wars franchise, for a cool $4.05 billion. The collective nerd sphere screamed out in panic, fearing that this was just the latest front in a long running assault against their most beloved movie franchise. If anyone has a reputation for plundering something for all its worth (more so than George Lucas) it’s Disney and many of them fear that the Star Wars universe will be turned into another Disney Princess, with movie after movie being churned out in order to maximise their multi-billion dollar investment in the company. Now whilst I can’t allay all your fears in that department (it’s a real possibility) there’s one thing here that I feel a lot of people are missing. Of all the movies in the franchise the most critically acclaimed are the ones that weren’t directed by George Lucas (Episodes 5 and 6, if you’re wondering). The rest were all directed by the man himself and many put the blame squarely on his direction for the reaction that the prequels received. With the transfer of all the rights to Disney it’s very likely that he won’t be heavily involved in the process of creating Star Wars 7, much less end up the one directing it. Of course there’s no guarantee the director they put in charge of it will be any better but the track record is pretty clear in showing that a non George Lucas directed film usually ends up being more well received. Disney, for what its worth, can make a pretty darn good movie and have shown they can run a franchise pretty damn well. You might disagree on principle but it’s hard to ignore the fact that they’ve been behind quite a few big name movies of recent times like The Avengers and other long running franchises like Pirates of the Caribbean and Toy Story. “We can’t trust them with the Star Wars franchise though!” I hear you saying but who then, apart from Disney, would fit the bill for you? Because realistically you’d find similar fault with any other company that had the means with which to acquire LucasFilm in its entirety and honestly I think Disney makes a great fit for them. It’s no guarantee that we’ll see a return to the glory days of the original trilogy but you’ve got to admit that the chances are better now than they were before. Maybe I’m just being optimistic here but as someone who’s managed to enjoy the Star Wars universe in many different ways (seriously, The Old Republic was an amazing game) I can’t help but feel that a new head at the helm might be the kick in the pants required to get it going again. Sure Disney will milk this for all its worth but that’s no different to what has been happening for the past 3 decades anyway. At the very least I’d withhold judgement until we start to see some of the previews of what a Disneyed Star Wars looks like before we start jumping to conclusions, especially ones that fail to take into account the fact that the fans’ biggest complaint may have just been taken care of. Portal 2: A Worthy Successor. There’s a lot to be said for a game that genuinely treads new ground, daring to defy the current norms. I’m always a big fan of these experiments because they’re so refreshing in a world that’s constantly dominated by the same games repeatedly even if I do enjoy some of those titles. The original Portal was one of these such games bringing in a game mechanic unlike any that had come before it. Despite the unusually short length Portal managed to capture the hearts and minds of nearly everyone who played it with it’s distinctive humor and characters, spawning several memes in the process. Portal 2 picks up where its predecessor left off and will take you much deeper into the Portal universe. The game starts off with an interesting tutorial that puts you as one of the test subjects in the Aperture Science laboratories. It appears that you’re one of many test subjects who are kept in a state of hibernation and a disembodied voice walks you through some exercises to make sure you’re not turning into a vegetable. When you next awake however the bright room you were in is now in a major state of disrepair and the voice from before states that you’ve been asleep for 9999 days. You’re then introduced to a new companion, Wheatley, a personality core who assists you in escaping the Aperture Science laboratory whilst also providing comic relief at nearly every turn. Running through these run down test chambers familiarizes you with the basic portal mechanics that were the staple of the original game. Wheatley guides you along this journey and eventually finds you in the chamber of a dormant GlaDOS and attempts to acquire an escape pod for your escape. Unfortunately he activates GlaDOS who identifies you as Chell, the protagonist from the original Portal, and proceeds to send you back to the test chambers so that you can further science once again, you monster. 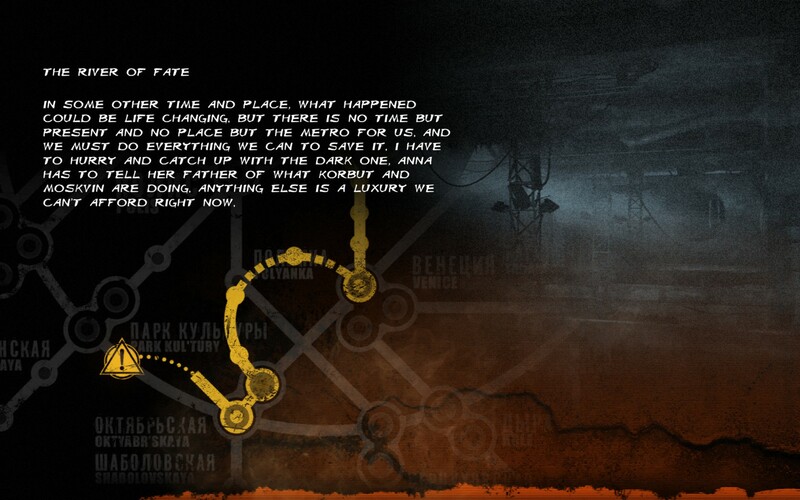 The next section of the game is in essence identical to its predecessor with each chamber being a single puzzle. The differences come from the environment which, whilst not as run down as the initial chambers you went through, show signs of being in disrepair with GlaDOS attempting to fix the problems as you enter each chamber. Apart from the introduction of the jump pads (devices used to make some of the velocity based puzzles a bit easier) there’s nothing really exciting about this section of the game. Indeed I found myself a times wondering how long I’d have to put up with this since whilst the original was adventurous and inventive this just seemed exploitative, a cop out seeking to cash in on the Portal IP. It’s quite possible that I just didn’t enjoy the formulaic nature of this particular section of the game. I loved the humor in the original because GlaDOS was always attempting to maintain the appearance of being a computer without any emotions, whilst in this one she just seemed felt like a disembodied human who was angry at me for trying to kill her. Still the puzzles were enough to keep me going and I made it through to the next section, the reunion with GlaDOS. Wheatley’s usurping of GlaDOS was an interesting plot point although I’d be lying if I said I didn’t expect him to turn on me immediately. However the next section proved to be my favorite by far as it takes you back to the very beginnings of Aperture Science, hidden deep underground in a former salt mine. The setting feels very 1960s post-apocalyptic, with all the remnants of the initial Aperture laboratories showing their age. The attention to detail in these parts is absolutely staggering, with the paraphernalia lining the offices giving you that distinct feeling that you’d gone back in time. I spent quite a lot of my time here just soaking in the atmosphere of it all, thoroughly enjoying the fleshing out of the Aperture back story. Of course the old Aperture also had old test chambers too and with them comes the introduction of another new game mechanic: gels. The gels are in essence paints that can cover nearly any surface that give them a certain property. Blue for bouncing, orange for ultra speed and white for turning surfaces into ones capable of having portals on them. 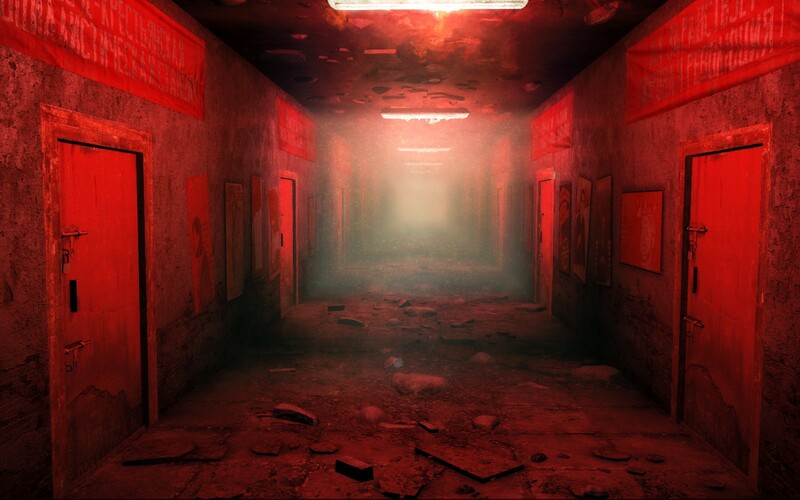 I found them to be quite intriguing, especially when they let you loose with a full on stream of the substances so you can paint the entire room in your chosen color, even if there’s really no point to it at all. However this brings me to a point of difference between the puzzles in Portal 2 and its predecessor. The original Portal felt very much like there were multiple options to solving the puzzles, some of which the designers had obviously not intended (especially if you watch the speed runs). Portal 2, whilst still providing many challenges, feels a lot more like there’s only a single solution and you’re just figuring out exactly what that is. The jump pads and gels demonstrate this quite aptly since they both have to be (or have been) placed in their exact positions for the desired solution. There are some exceptions to this of course (like the first room with the white gel) but its definitely one of the areas that Portal 2 falls down in comparison to its predecessor. Along the way you pick up GlaDOS who’s been transformed into a shadow of her former self being powered entirely by a potato. She provides some interesting commentary during your journey through the old Aperture labs and seems to get quite excited when Cave Johnson, the founder of Aperture Science, addresses you over the intercom via pre-recorded messages. She stays with you the entire time but isn’t as chatty as Wheatley was before her which I was quite thankful for when I was stuck on some of the puzzles. Eventually you make your way back to the current Aperture labs where Wheatley has taken over the test chambers, many of which are GlaDOS’s creations with the wall panels rearranged to spell TEST in large letters across one of the walls. This of course is all leading up to the point where you face up with Wheatley in his current form in a boss fight that feels oddly-similar-yet-completely-different from the original boss fight in the original Portal. Of course nearly every mechanic you’ve used previously makes an appearance in this and for those who’ve completed the fight there’s a scene in their that tickled the space nut in me just right. Of course whilst the single player game is the main selling point for most buyers Portal 2 ups the ante by including a separate co-op experience that you can play with a friend or random stranger on the Internet. Initially I choose to find someone randomly as none of my playing buddies were online and I must say the matchmaking system works perfectly, finding me a partner in science in under 30 seconds. Of course it’s not as enjoyable as it would be with good friends so I decided to put it off after a couple chambers, but I did give it a good run through last week. Whilst they’ve gone to great lengths to make the co-op in Portal 2 pretty painless without voice communication it’s quite a lot better with it. Still though the pinger tool they give you, basically a laser pointer that can mark stuff or set a timer, still comes in handy when trying to guide (or be guided by) your partner. The puzzles themselves are quite interesting as well especially when GlaDOS takes you outside the test chambers to retrieve information left behind by the former human scientists. Her humor in these sections was also far more enjoyable as she taunts the robots and gets frustrated as they show human traits like high-fiving or hugging each other. Overall though Portal 2 proves to be a worthy successor to the original Portal. I had had my misgivings about the game during the first half of it, feeling that the changes made to it were only skin deep. However the old Aperture labs turned me right around making me heavily invested in both the characters and the plot of the game. 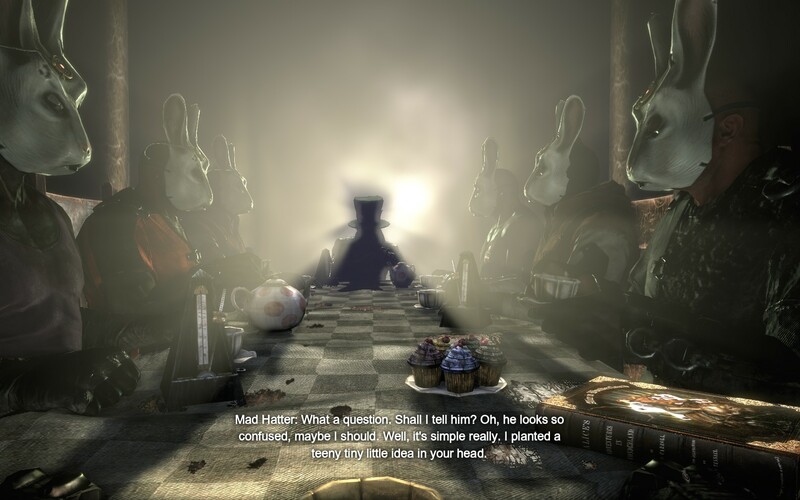 The puzzles, whilst many feeling like single solution jobs, still managed to keep me guessing and were incredibly satisfying once accomplished, especially considering I did not once reach for a walkthrough (although I’d put the credit for this to the game designers themselves, not my amazing playing ability). The co-op is also quite a fun experience, especially when done with a close friend. If you liked the original Portal or are fan of intriguing puzzle games then you won’t go wrong with Portal 2 and I’d highly recommend giving it a play through. Portal 2 is available on PC, Xbox360 and Playstation 3 right now for AUD$49.99, $108 and $108 (PS3 edition includes a free Steam copy) respectively. 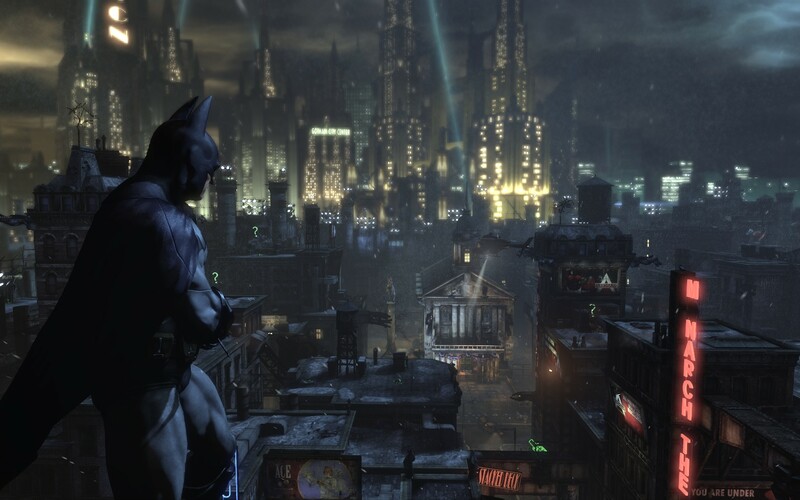 Game was played on the PC with total game time around 7 hours for the single player and 2 hours spent on the co-op missions without finishing them all.